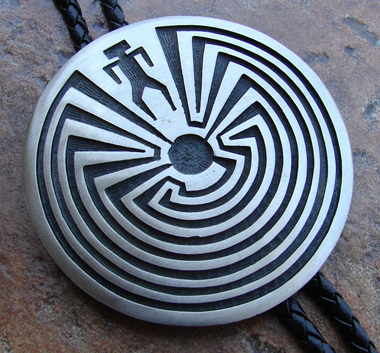 Pewter, Man in Maze Bolo Tie. Pewter tips, black leather strap. Approx. 2¼” dia. The Man In The Maze symbolizes the journey of life and its decisions.